So how did we create this look??? It's pretty much just a bright green hoodie...with eyes. 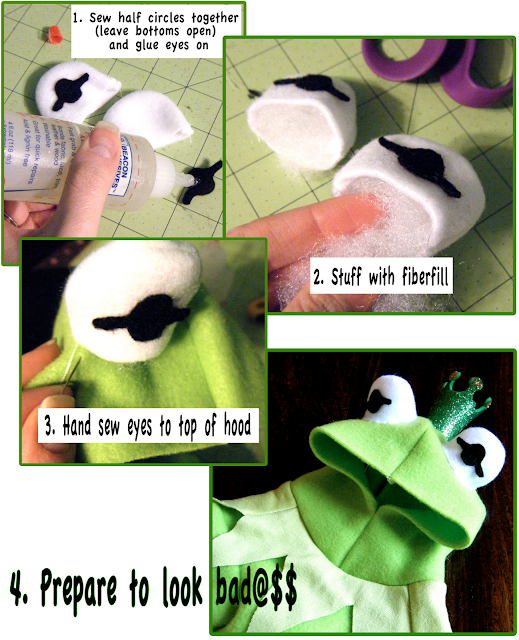 Make your own frog eyes for virtually any hoodie! That is too cute! 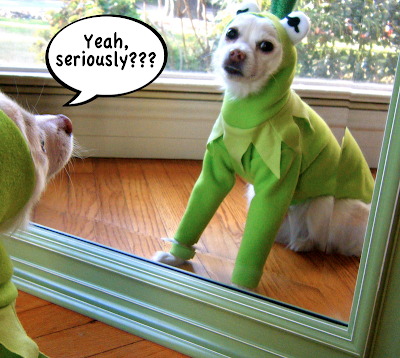 You do look a bit put out, but it is very cute on you! Your looking pretty cute there Kermit! er....I mean...Sebastian!BOL! Aaahhh! 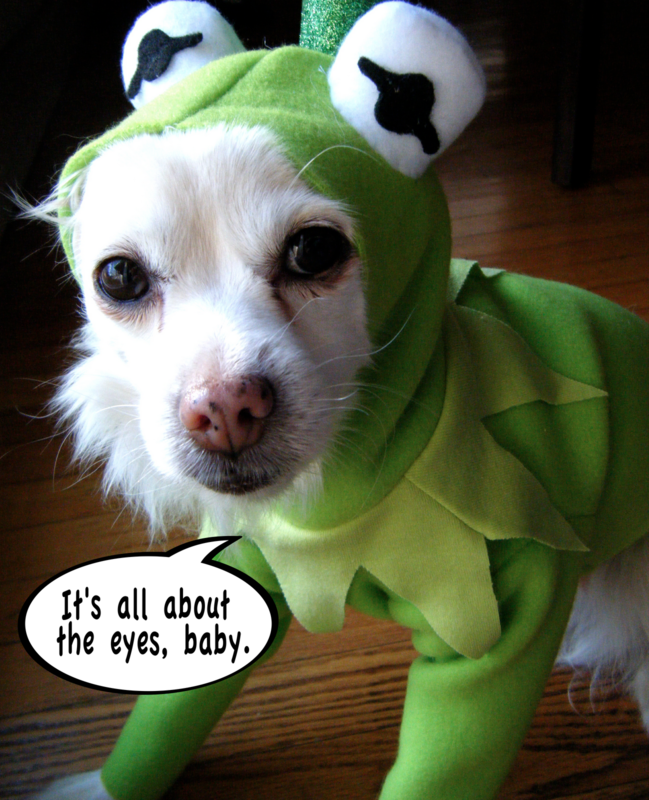 You look SO cute as Kermit! Don't get any ideas Jen. 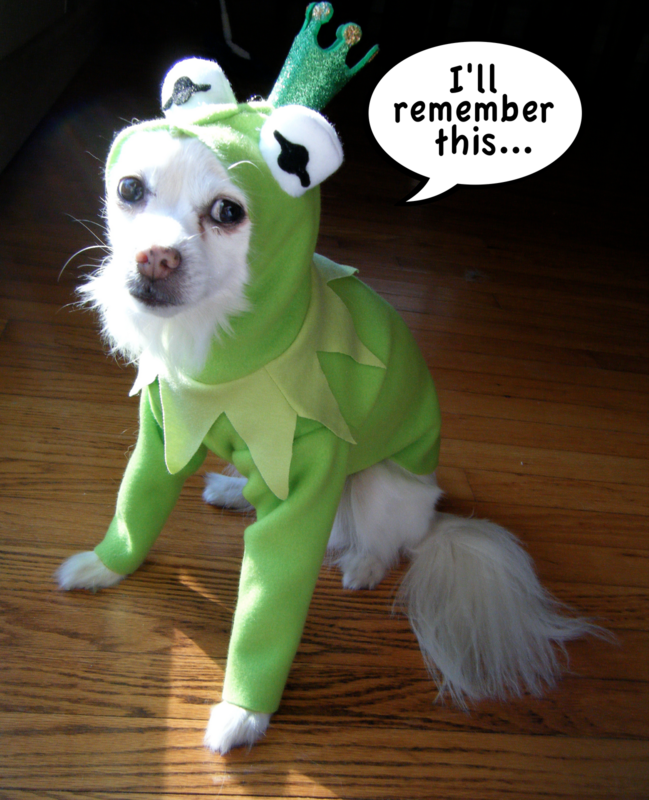 If you put that on me, I'll never forgive ya! I think Sebastian is going to find a way to get back at his mischievous, yet amazingly talented, Mommy! We love to see creations from that amazingly creative gift you have...just realize that Sebastian might write a tell-all book at some point! I am loving your Project Runway posts! Upcycled Shag Rug Dog Bed!